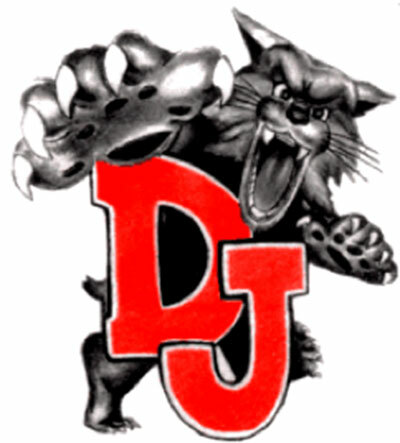 DELPHOS - The Wildcats welcomed Russia to the Stage on Saturday night for boys non-conference basketball action. The Raiders stole the show and picked up a 52-42 victory. Neither team was able to make a bucket until the 4:56 mark of the first quarter. The Raiders got a layup from Daniel Kearns to put them up 3-0. A put back basket from Jordan York for the Raiders forced a Jefferson timeout with 3:16, 7-0 Russia. The Wildcats finally got on the scoreboard with a Jeffrey Caputo lay-up with 3:06 left in the first quarter. The Raiders hit a three-pointer from Carter Francis which eventually lead to Russia having a 14-4 lead after one. Jefferson used a 10-0 run to start the second quarter as Hunter Mericle got a three-point play and one from downtown. The Raiders used a timeout with 4:58 with the score tied at 14-14. Russia went on a 7-2 run with five points from Kearns to bring the score to 21-16, Raiders. Four late points from Mericle help cut the lead to 25-20 at the end of the first half. The Raiders scored early buckets to put them up 31-22 in the third quarter. Jefferson responded with a thre- from Mercile and basket from Doug Long Jr. The Wildcats cut the Russia lead to 35-32 with a triple from Mercile. The Raiders got a big three-point play from Kearns to opened the fourth quarter and put Russia up 40-33. The Wildcats cut the Russia lead to five points in the fourth quarter with buckets from Ian Wannemacher. Unfortunately for Jefferson, Russia went five of six from the foul shots under two minutes to ice away the game. Jefferson got the final buckets with a triple from J.T Taviano to make the score 52-42. Russia improves to 12-6 on the year. Jefferson drops to 3-17 on the season. Russia took the JV matchup 67-57 for the sweep of Jefferson.